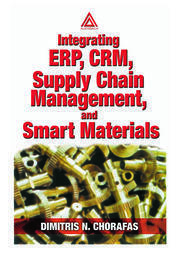 This book provides clarity and guidance on effective strategy, implementation and management of CRM. It explores both the conceptual and cultural context of CRM initiatives along with the particulars of CRM system implementation and management. In order to provide this clarity, it surveyed the existing academic publications surrounding CRM, sales force automation, and related topics within information systems literature. 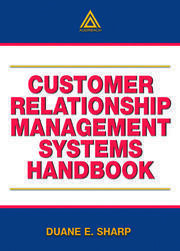 The book supplements this research with insights from CRM experts to provide a robust picture of the CRM landscape and how to improve it no matter what role you play within your organization. 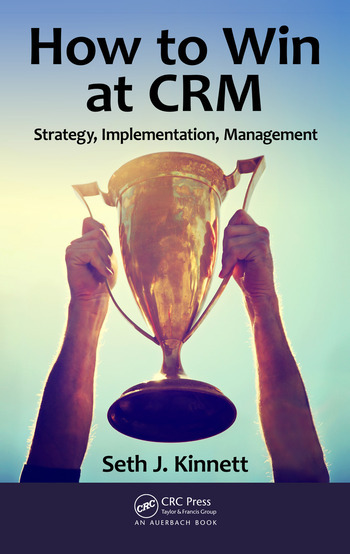 This book is for everyone who wants to achieve CRM success. There’s Something about CRM. Salesperson Resistance. Culture of Success. Understanding CRM Adoption. Business-IT Alignment. Positioning the Technology Division. Developing a CRM Governance Model. Partners, Vendors, and Hosted Solutions. The Business Analysis Function. The Customization Debate. Integration. Keeping the Mind in Mind. Understanding User Involvement. User Education. Big Data, Stewardship, and Analytics. Support. Understanding Extended and Post-Adoptive Use. Ongoing and Future Initiatives. Making CRM Successful.